The 6-tracks from Minneapolis Genius (The Historic 1977 Recordings) are re-released serval times by Pepé Willie to make capital of the marginal involvement of Prince as musician and writing input of one track (Just Another Sucker). This master-release groups together the reissues. Some may have additional tracks or a different sequence, but it's always the same recordings. With the exception of about 4 tracks here, this is pretty mediocre stuff. And the last few tracks on disc 2 sound like cassette tape rehearsals. I don't hear much Prince influence here. That would not matter if these songs were stellar, which they are not. Awesome ‘80s disco from the man formerly known as something or other. 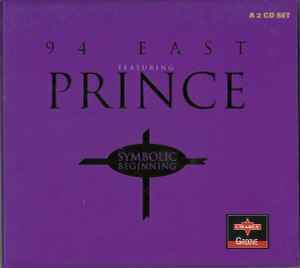 Stand-out tracks include ‘Just Another Sucker’, a synthesised shoulder-pad pop workout, with Prince’s high-pitched vocals and infectious danceable groove. Excellent re-mastered Charly release with plenty of sheer original synthesiser effort. Well worthy.